If you want some green on your desk but don’t have room for a potted plant, you’ll love the compact Sanctuary. 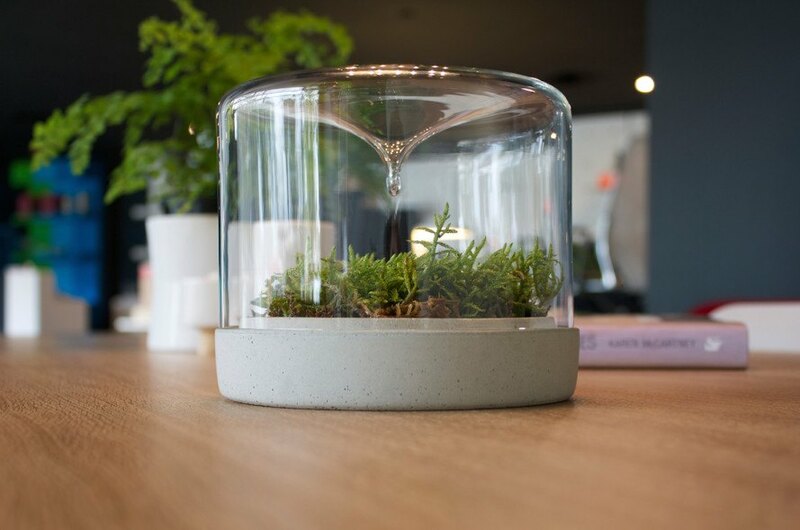 Launched on Kickstarter by Australia-based Botanica Boutique, Sanctuary is a mossarium that lets you grow a tiny lush landscape with minimal maintenance. Made from 100% recyclable materials, the Sanctuary features a base molded to help prevent rot and a transparent top fitted with a teardrop form to redirect condensation back onto the foliage. You can help bring the little Sanctuary mossarium to life by heading over to Botanica Boutique’s Kickstarter. If you want some green on your desk but don’t have room for a potted plant, you'll love the compact Sanctuary. Launched on Kickstarter by Australia-based Botanica Boutique, Sanctuary is a mossarium that lets you grow a tiny lush landscape with minimal maintenance. Made from 100% recyclable materials, the Sanctuary features a base molded to help prevent rot and a transparent top fitted with a teardrop form to redirect condensation back onto the foliage. You can help bring the little Sanctuary mossarium to life by heading over to Botanica Boutique’s Kickstarter.